Steve Jobs is not known for being an active tweeter and there might be a reason why. The former Apple's CEO's first authorized biography was released Monday and tidbits of "Steve Jobs" by Walter Isaacson are beginning to leak out. The book was released Sunday, earlier than expected, on Apple's iBooks and Amazon's Kindle. One is his vendetta against Google and a second is his admiration for Facebook's young founder Mark Zuckerberg. "I admire Mark Zuckerberg,” Jobs says in the book, where he gave Isaacon complete access to his life and allowed himself to be interviewed multiple times by Isaacson. "I only know him a little bit, but I admire him for not selling out, for wanting to make a company. I admire that, a lot." Jobs was not as kind to his longtime rival and Bill Gates. In the book, Jobs says he met with Gates last year and that the Microsoft founder was not a product person and was "unimaginative." "He'd be a broader guy if he had dropped acid once or gone off to an ashram when he was younger," Jobs said. As for where Apple might go next, Isaacson said in an interview with "60 Minutes" Sunday that Jobs was interested in developing an easy to use television. "He had a few other visions. He would love to make an easy-to-use television set," Isaacson said. But towards the last two years of his life, Jobs began focusing on his family more and searching for purpose. "But he started focusing on his family again as well," he said. "And it was a painful brutal struggle. And he would talk, often to me about the pain." Jobs says in the book that he gave up religion at a young age when he had a moral complex with how God could allow children to starve in Africa but thoughts of God and a higher calling began to fill his mind when he was forced to deal with his own mortality. 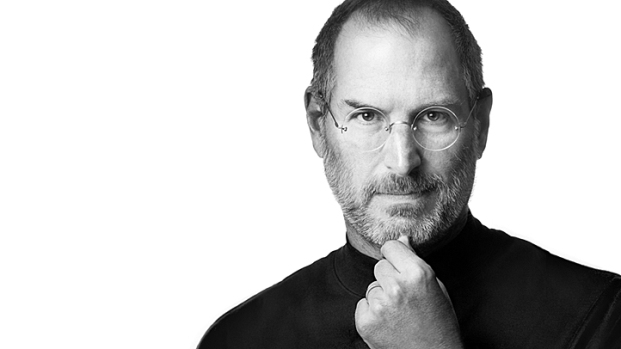 "Ever since I've had cancer, I've been thinking about (God) more," Jobs said, according to Isaacson. "And I find myself believing a bit more. Maybe it's because I want to believe in an afterlife. That when you die, it doesn't just all disappear." Isaacson said of Jobs, "Then he paused for a second and he said 'yeah, but sometimes I think it's just like an on-off switch. Click and you're gone. He paused again, and he said: And that's why I don't like putting on-off switches on Apple devices."